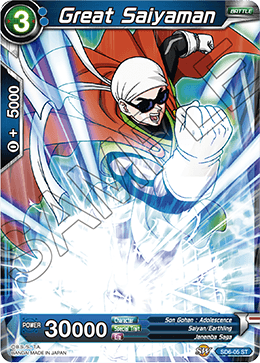 (You must place the top 2 cards of your deck in your Drop Area to activate this skill.) When this card attacks, draw 1 card. (This skill takes effect when you have 5 or more cards in your Drop Area.) When this card attacks, draw 1 card. 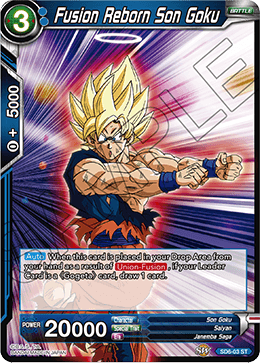 If you have 3 or more energy, this card gets +5000 power for the duration of the turn, and if you have 5 or more energy, this card also gains for the duration of the turn. 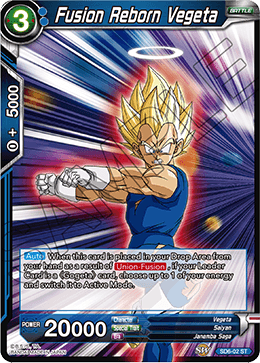 Choose 1 card from your hand and place it in your Drop Area : Your opponent can only activate skills once for the duration of the turn. 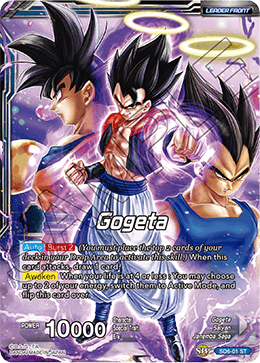 When this card is placed in your Drop Area from your hand as a result of , if your Leader Card is a 〈Gogeta〉 card, choose up to 1 of your energy and switch it to Active Mode. 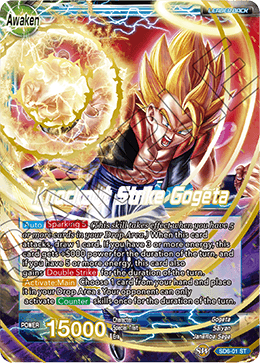 When this card is placed in your Drop Area from your hand as a result of , if your Leader Card is a 〈Gogeta〉 card, draw 1 card. (This skill takes effect when you have 5 or more cards in your Drop Area.) 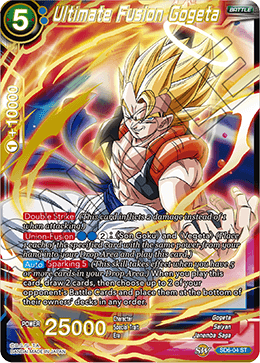 When you play this card, draw 2 cards, then choose up to 2 of your opponent's Battle Cards and place them at the bottom of their owners' decks in any order.